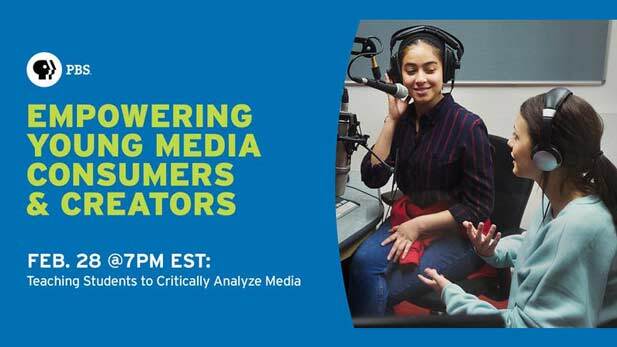 February 11, 2019 / Modified feb 11, 2019 2:18 p.m.
Empowering Young Media Creators is the first of a 3-part PBS “Live Learning” experience. Register now for the free online seminar. The world is saturated with information--all types of media, with millions of varying messages. Not only are your students consuming the media, but with new technology, and inexpensive tools, they are also creating content and using media in myriad ways to test their ideas, and tell their stories. With access to these tools, we have the opportunity to empower students so they can be both to be critical consumers of media, and authentic storytellers.